“A Good Reason to Lie” by Martha Ashleigh is a coming of age novel set in California in 1955, when times were simpler and more slow-paced than today. Fourteen year old Robby Hartman becomes a material witness in the Federal Crimes Division when he overhears and inadvertently records a condemning conversation concerning bribery, use of undocumented workers and murder. For his safety, Robby’s father arranges for Robby to go into hiding and stay with a foster family until the trial. Robby Hartman (now Rory Mendez) becomes a part of the Dominguez family who live on Santa Teresa Island, a remote island off the coast of Southern California. The Dominguez family quickly comes to cherish Rory as one of their own. Rory is surprised at how quickly he put his old life behind him as he experiences a life full of family, friends, love and a simple living on the Dominguez family farm. When the guilt he feels for lying to his new family, and the anger he feels towards his real father become too much to handle, Rory reveals the truth to his beloved foster family, unwittingly putting everyone he holds dear in grave danger. 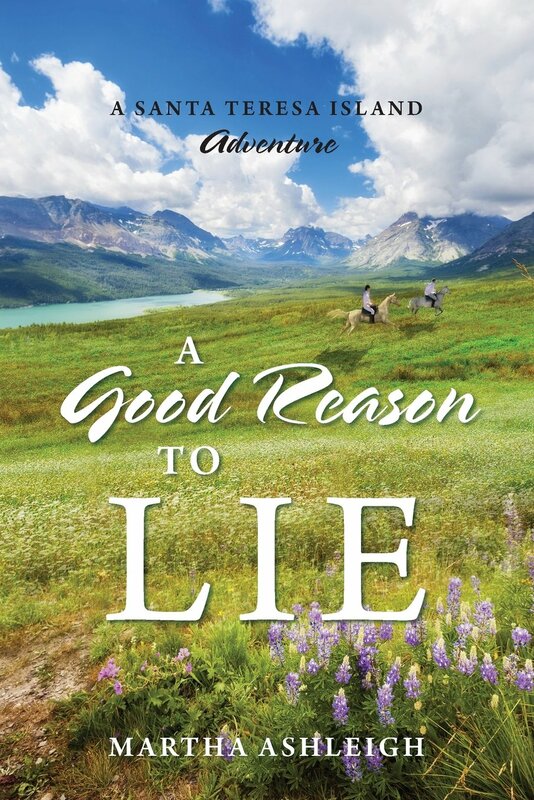 I thoroughly enjoyed “A Good Reason to Lie.” The storyline was simplistic yet entertaining, and the flow was such that it held my attention and I read the entire book in one day. The author does a great job detailing the setting, giving the reader a picture perfect description of the beautiful island of Santa Teresa. While the characters were very endearing, I did get the feeling that I was sitting in the middle of “Leave it to Beaver’s” living room. The conversations and interactions were often sticky sweet, no matter what drama or dilemma the characters may be encountering at any given time. This is not necessarily a bad thing, I just found myself wondering, at times, who behaves this way in their day to day lives? I got this same type of bizarre feeling during the protagonist’s interactions of the plot. The seriousness of the situation with the violent men looking for Robby was often glazed over and softened a bit, kind of taking away from the whole drama of being a material witness in hiding. Overall, I would recommend “A Good Reason to Lie” by Martha Ashleigh to anyone who likes an easy coming of age read. This entry was posted in Action/Adventure, Books, Fiction and tagged A Good Reason to Lie, Book Review, Martha Ashleigh. Bookmark the permalink.